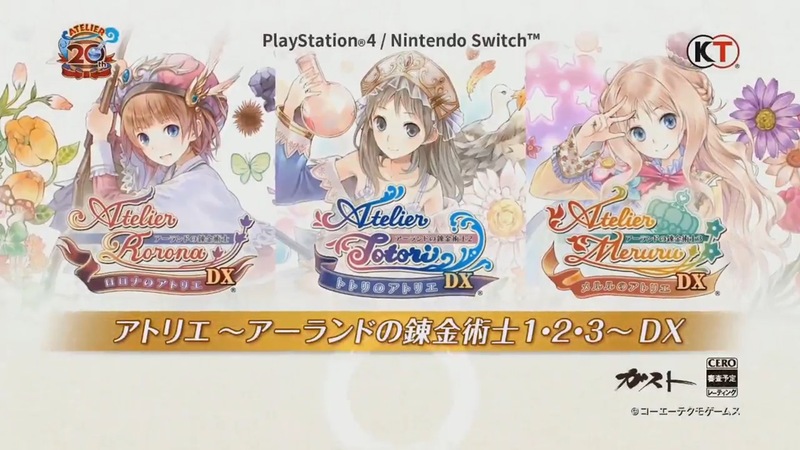 During a Dengeki live stream today, Gust revealed that a trio of Atelier games are coming to Switch. Atelier Rorona: The Alchemist of Arland DX, Atelier Totori: The Adventurer of Arland DX, and Atelier Meruru: The Apprentice of Arland DX are dated for September 20. 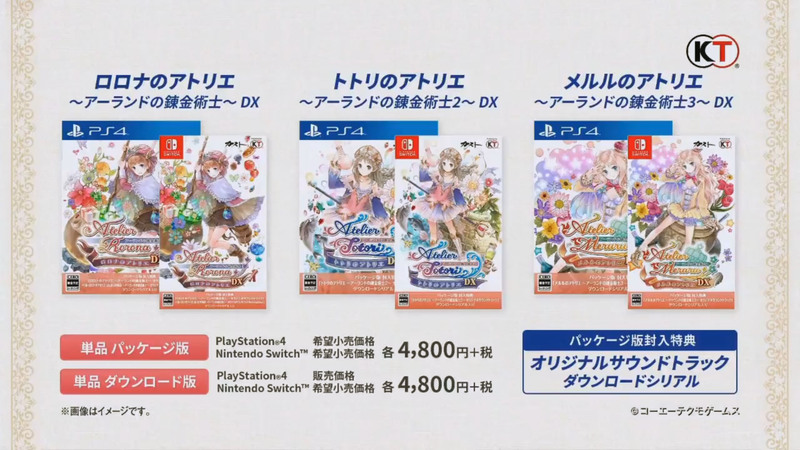 Pricing is set at 4,800 yen. 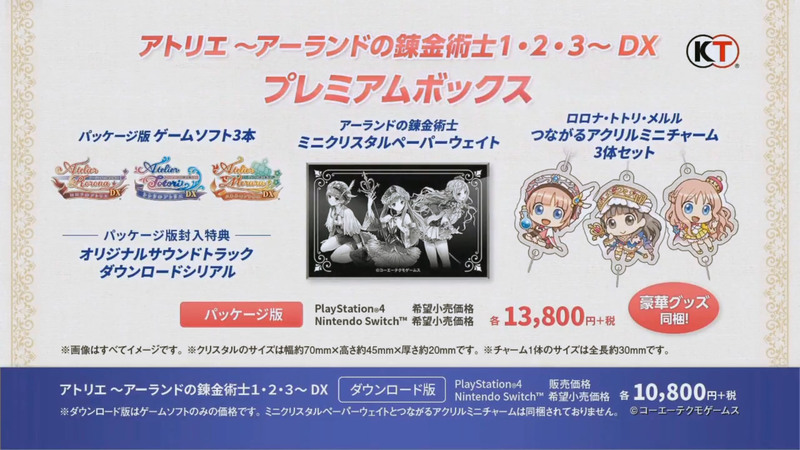 Atelier Rorona DX, Atelier Totori DX, and Atelier Meruru DX will all come with DLC for their respective games. Physical copies will also contain a download code for their original soundtrack.